Graduated in piano with top marks and honours from the “F. Morlacchi” Conservatory of Perugia, she studied piano with Maureen Jones, Alberto Ciammarughi, Sergio Cafaro, Antonio Bacchelli, and attended Vincenzo Vitale’s training courses in piano technique later on. She started her career by winning some nationally-renowned competitions (Taranto’s “Giovani Promesse”, Castel S. Angelo’s Selezione Nazionale “Giovani Concertisti”, “Finale Ligure”, Roma’s “Associazione F. Liszt”), and by collaborating with radio and television stations such as Radio Vaticana and Rai Uno, which she made many recordings for (for the international broadcast of the TV show “Nord Sud” by Rai-Radio Tre she recorded with the oboist Silvia Nesi the oboe sonatas of P. Hindemith and C. Saint Saens). She is mainly devoted to chamber music, and worked togheter with the prominent Venezuelan classical guitarist Alirio Diaz, the New Zealander pianist Mary Tzambjras, the violinist Shalom Budeer, the Italian oboist Silvia Nesi, the Italian actors Walter Maestosi and Lydia Biondi. For the Russian Music’s Cultural Centre of Basilea she played the Russian composer V. F. Dawalder’s liederistic opus in a duo with the soprano Anna Davidova. She has been a regular guest of the Ascoli Piceno Festival, where she played, among other things, some liederistic cycles by R. Schumann with the soprano Desirée Brodka in 2006. In the 2007 edition of the San Benedetto del Tronto’s festival “Tales in Music”, she performed “Il Compagno di Mezzanotte” (“Midnight Mate”), an original work by the composer Carlo Pedini based on Silvia Ballestra’s novel of the same name (reciter: the actress Lydia Biondi). For the 2007 edition of the Autunno Musicale Festival (Capua, Museo Campano), she played Moments de Passion (12 klavierstucke) and Nocturne per pianoforte by the German contemporary composer Horst Lohse. For the 2011 edition of the “Wind Symphonic festival” (Teatro delle energie, Grottammare), she played the Mozart and Beethoven’s quintets for piano and winds with the soloists of the wind orchestras Laboratorio Ensemble and Orchestra di Fiati Brtaga. She has been a regular guest of the concert seasons of Villa Rospigliosi (Lamporecchio) and of the Cultural Association “Giovanni Colafemmina” (Acquaviva delle Fonti). She currently collaborates with the flutist Marta Rossi, the baritone Franco Giovine, the soprano Angela Baek, the violinists Paolo Franceschini and Massimiliano Destro, the cellist Luca Peverini, the soprano Rosaria Angotti. Keenly interested in the melologue genre, she added to her repertoire all the works by Schubert, Liszt and Strauss that belong to this musical form. At the Festival Liszt (Grottammare) she performed Strauss and Liszt’s melologues for voice and piano with the actor Walter Maestosi (in 2006), and togheter with the composer Gianluca Podio designed the show “Liszt: Melologues and Missives” (in 2011). She regularly collaborates with the actress Vanessa Gravina: the duo has brought out the melologue Enoch Arden by R. Strauss several times (at the Manlio Theatre in Magliano Sabina, 2010; at the Elsa Morante Theatre in Rome, 2013; at the University of L’Aquila in 2014, among the celebrations for the sesquicentennial of the composer’s birth; at the Palladium Theatre in 2017). 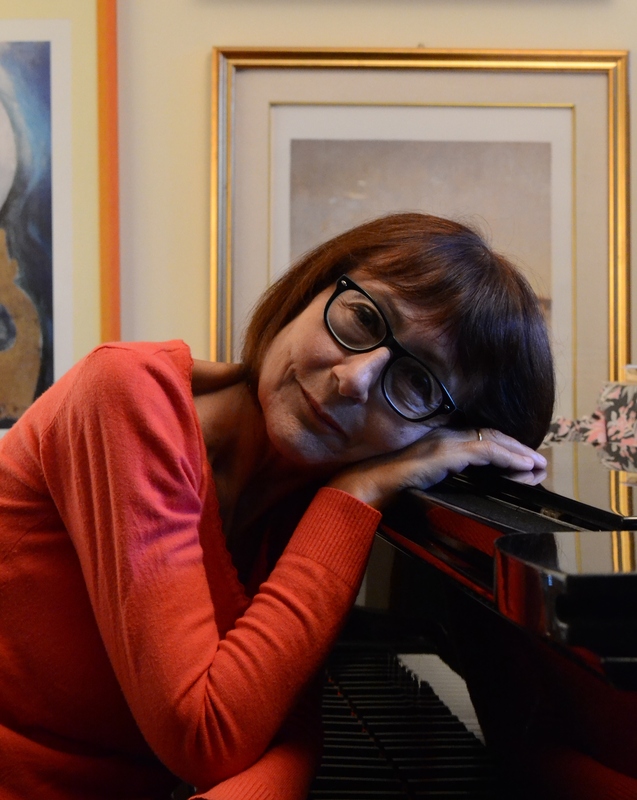 In addition to performing, Tiziana Cosentino works as a cultural promoter: she handled the artistic direction of, among others, “I Concerti del Teatro Conti” in Civitanova Marche (years 1980-1996), “Natale in Musica” in Roma (year 1998), “Itinerari d’Amore” Festival in Rome (year 2000), “Giovani in Musica” competitions in Rome (2003-2005 editions). From 2002 to 2006 she promoted and coordinated the renowned European Cello Competition “Premio Arturo Bonucci”, that took place in Magliano Sabina. Since 2002 she has been managing the SabinaMusicaFestival, a wide-ranging event taking place in the Lazio region that joins three competitions dedicated to young musicians (Concorso Nazionale di Esecuzione Musicale “Città di Magliano Sabina; Premio Pianistico “Sergio Cafaro”; Concorso Violinistico “Premio Dario Anselmi”) to a season of concerts. She is often invited to join national and international music contests as a judge. A former teacher at the “G. Braga” Conservatory of Teramo, Tiziana Cosentino currently teaches piano at the “D. Cimarosa” Conservatory of Avellino. In 2016 she became a member of M.Th.I..